Why See Set It Off? If you haven't heard of Set It Off yet, you're about to see them everywhere! 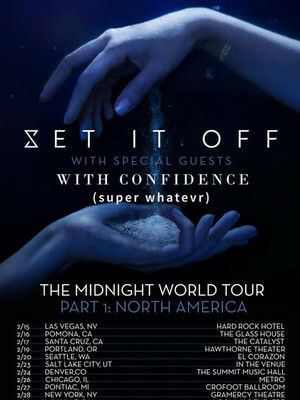 As one of America's fastest growing rock groups, Set It Off can boast of some of the most dedicated fans in the world with their latest album Midnight hitting one million streams in just 48 hours! Now the four-piece are heading out on their Midnight World Tour in celebration of the album's release. When forming in Tampa, Florida, back in 2008, Set It Off already has a star in their midst, with vocalist Cody Carson already cultivating his own fan base through his YouTube videos. After gaining traction on the site the band signed to Equal Vision Records, releasing their first three albums under the label. In 2018 Set It Off moved too Fearless Records and released Midnight on February 4, 2019. Don't miss your chance to see the rising stars live on tour! Seen Set It Off? Loved it? Hated it? Sound good to you? Share this page on social media and let your friends know about Set It Off at The Door. Please note: The term The Door and/or Set It Off as well as all associated graphics, logos, and/or other trademarks, tradenames or copyrights are the property of the The Door and/or Set It Off and are used herein for factual descriptive purposes only. 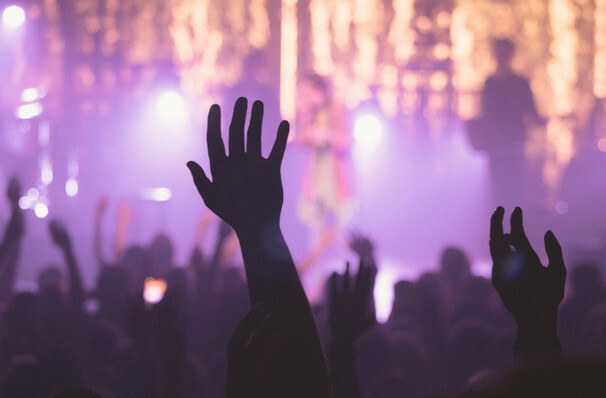 We are in no way associated with or authorized by the The Door and/or Set It Off and neither that entity nor any of its affiliates have licensed or endorsed us to sell tickets, goods and or services in conjunction with their events.